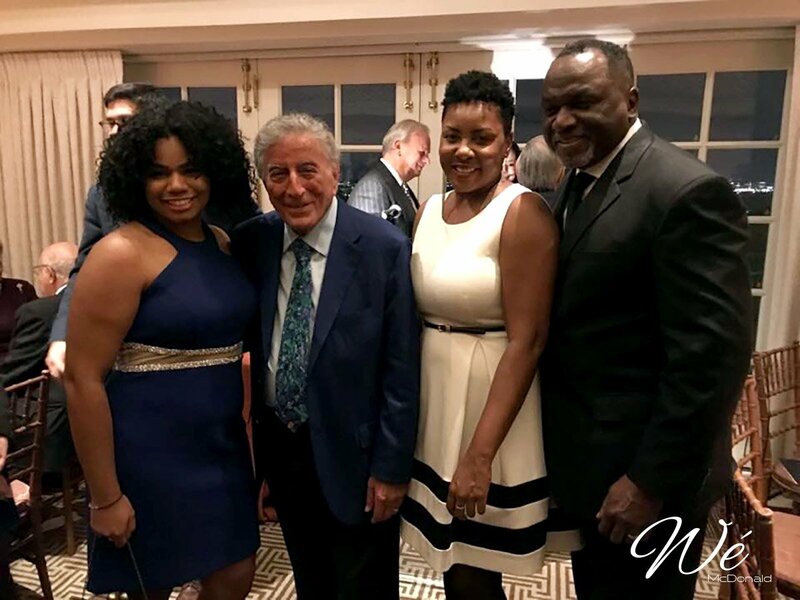 On November 15, Wé joined a star studded lineup of performers to honor music legend Tony Bennett. Celebrating his decades-long career, Tony Bennett received the Library of Congress Gershwin Prize for Popular Song. Taking place at the DAR Constitution Hall, Wé brought the audience to their feet with a soulful rendition of Bennett’s “For Once in My Life.” Attendees included host Bruce Willis, Stevie Wonder, Gloria Estefan, Vanessa Williams, trumpeters Chris Botti and Wynton Marsalis, Josh Groban and, of course, the legend himself, Tony Bennett among other notables. The all-star event will air on PBS on Friday, January 12 at 9:00 PM ET. To watch Wé describe how Tony Bennett inspires her watch her WTOP interview here.To view images from the event, visit here. Billboard and Variety have provided coverage of the event!